A fantastic piece of pop “nonsense” from a few months back, from a band I know next to nothing about. Apart from...they're French and they have a way with ferociously catchy glam pop. The death of Lou Reed loomed large over this week's show. As plenty of other people have remarked over the weekend, there's an enduring freshness and vitality about the first Velvet Underground album, especially. It really has aged well, as the man himself did. More from Angele David-Guillou (pic), beautiful, moving piano music; and littlebow, brilliant, playful, keyboard and flute-lead exotica. A serene set of keyboard-led, classically influenced tunes from the London resident, whose previous solo work has been released under the Klima moniker. They are deceptively sedate though with a sense of deep emotion and fierce intelligence at work underneath the still, almost-romantic surface. The addition of sprightly violins, shaker, tambourine and clicking percussion to the waltzing piano turns ‘And the grass was singing’ into a beautiful far-reaching chamber pop. A kind of dream pop emerges from the hazy cascade of electric piano on ‘Dream of Leonor Fini’. Finger bells, click drums, saw, tambourine and pizzicato strings are all used superbly with a light touch to alter the mood. ‘But now I am joyful’ introduces vocals for the first time to brilliant effect, creating a bath of sadness with dynamic piano shapes before finishing with the devastating punchline, ”I can see the sky from the bottom of the sea”. I was reminded of Heaven or Las Vegas recently so felt like pulling it out for some classic Cocteau Twins from 1990. It still sounds as fresh and brilliant as ever. Elephant are responsible for an alluring modern brand of dream pop, love that too. SlowPlaceLikeHome from Donegal plays Cork soon; Cork band The Shaker Hymn tour the country on the back of their really good debut single; This Is The Kit are on tour with The National; Colleen too is in Cork, as are Dott ahead of their debut album. Dan Haywood with some intoxicating pastoral folk music, The Doomed Bird of Providence with another set of deeply affecting folk songs around the Australian colonial experience. Satelliti, loving them, smouldering, deconstructed jazz meets math rock...or something like that. (The) Caseworker making more beautiful minimal drone rock. And Brous back again, I can't get enough of her joie de vivre, soaring melodies and bonkers arrangements. Several pieces of music this week from artists playing in Cork, or Ireland, soon. Beautiful new music from Angele David-Guillou, a sublime piano instrumental from her gorgeous new album Kourouma, more on that soon); The Unusual History of Ether, beguiling cosmic jazz pop shapes; Bill Callahan getting down with the funk; Kramies produced by Jason Lytle, lovely hazy dream pop; Carriages from Dublin, brilliant folktronica sound. 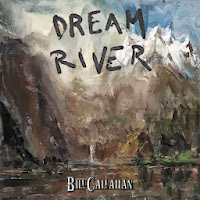 Chances are many people have never associated Bill Callahan with soul music. There was always plenty of soul in his music of course but it was usually disguised within strains of what is generally called Americana (isn’t soul American too?) – country and folk. On this, his fifth album under his own name (18th when you count Smog), his wry, blackly comic observations are set against the funk. There are bongos and dub echo on ‘Javelin unlanding’ alone. Perhaps he’s just given into a longstanding urge. As if to signal his intentions in fact, the first song ‘The sing’ namechecks Marvin Gaye – “I’ve got limitations, like Marvin Gaye” - although perversely that arrangement is wrapped in a very country confection of fiddle and sumptuous low note electric guitar. Still, it is some kind of signpost. It’s been a vintage year for Irish album releases. O Emperor, Cat Dowling, Biggles Flys Again, The Last Sound, Peter Delaney, Ann Scott, Enemies, Hidden Highways, God Is An Astronaut have all released singular and accomplished works. It’s time to add another one to that list, someone who is likely to be much less known to you than even those mentioned above. Kevin Murphy is an Irishman currently living in Australia, maybe that’s why he’s slipped under the radar of the Irish mainstream media. In line with those others, he writes songs that stay with you, in his case because of an achingly authentic delivery and brilliantly subtle arrangements. Here’s a review I wrote of his album for WeAreNoise a while back. An unassuming package came through the Noise letterbox recently (I mean that literally, it was a CD). We started this week with a Colleen/Seti The First pairing, who are playing together in Cork in a few weeks - delicately earthy, singular musings/brilliantly poised classical tunes. A couple of great new discoveries for me this week too, Brous (pronounced Bruce) sings bonkers 60s style pop with sweeping Morricone-esque arrangements (something from Ennio in the show too), and Elephant return with another blissful slice of dream pop - both intoxicating. The new Fuxa album features Britta Phillips on guest vocals, among others, singing the old Linda Ronstadt number 'Different drum' to Randall Niemann's 'Stand by me', stirring stuff. Satelliti are an intriguing Italian duo playing instrumental post rock with jazz tones; Satellites an Englishman in Copenhagen making satisfying alt-rock mini anthems. 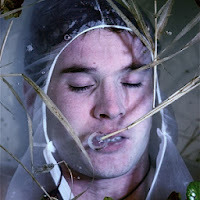 New Crystal Stilts and Hidden Highways and the infectious Congo-via-Liege pulse of Dragon Noir. I had the great pleasure of seeing Cat Dowling play live in Cork the other week, as part of the excellent Coughlan's Festival lineup. As you know, her debut album The Believer is one of my favourite things this year. It was great to hear those songs in the flesh (about seven of them anyway). Here's what I wrote about the gig for WeAreNoise. Cat Dowling arrived onstage (joined by collaborator Gerry Horan) on Sunday evening with no fanfare and set about charming the pants off the seated audience with both her demeanour and a set of beguiling tunes from her wonderful debut album The Believer. I had the pleasure of speaking again with Liam Singer the other week on the phone from New York, whose new album Arc Iris is out on Hidden Shoal. It's such a fine piece of work, everyone should check it out, spinning a delicate and poignant brand of chamber pop. I reviewed the album here - there are also some tracks from the album on that link. Over the course of the interview, it was interesting to hear Liam talk about the "tone colours" he had in mind for the album. In fact, if I'm not mistaken this certain atmospheric quality was his starting point and main aim for the record. This may be a bit twee for some tastes but there’s something about it I love. It could be the unashamed naivety of its blue-eyed soul. Or the arrangement, those lush piano chords and the bell-clear male-female voices. Or just for this line, “kiss me dry or drenched”. That’s an epithet liable to stick in your mind and grow in meaning. A quick mention for this release over the summer, the box set compilation of the series spread over contributions from nine different artists using a communal set of sound files. You’ll find all the detail you need on the label website or on this link. Suffice to say that it is a consistently fascinating and surprising collection and it sheds new light on the term collaboration. Because I’m late getting around to this, it’s likely the special edition is gone by now, but here’s the blurb on that anyway. It looks and sounds like a particularly gorgeous package, which is just in keeping with Front & Follow's previous releases. The Anglo-French English duo continue to astound us with singles of rare poise and beauty. This time, we have violins and an angelic choir on backing behind Amelia Rivas’ hazy vocal. It’s widescreen and Spectorish, starring glockenspiels as twinkling stars and ooh and aahs as a moon-induced headrush. It really is blissful dream pop of the highest order. “A canopy of bliss” is just about right. Ever wondered what might have happened if Dusty Springfield had hooked up with Ennio Morricone? Friends, wonder no more for Sophia Brous (pronounced “Bruce”) of Melbourne, Australia has supplied a glorious pseudo-reality to that tantalising daydream. Ever since I came across it yesterday, I've been hooked on this absolute classic, part Dusty domestic mini-epic, part Euro lounge exotica nugget. 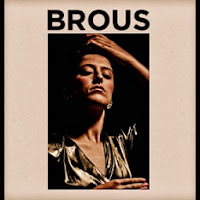 Apparently coming from a jazz background, Brous has forged a sound from the classic age of 60s pop, all swooping melodies, but with baroque arrangements of organ, harpsichord and bending strings which succeed in nodding very gently to the Italian cinema master. Add in a bonkers Bollywood flourish here and there (check those fantastically unhinged la-la-las and spacey Moog squelches) and you’ve got the headiest global pop confection heard in years, possibly. The centrepiece of this week's show was a segment of the interview with Liam Singer. We also had two tracks from his wonderful album Arc Iris (review on the blog here and full interview audio to follow soon). I saw Cat Dowling play last weekend, she was superb, and her new single 'Somebody else' is just out. Plus another strong Irish female release in the shape of the fourth album from Ann Scott. Cool new music from Connan Mockasin, bit of a Prince feeling off that; new album this month from Dublin's Crayonsmith; some great kraut-surf vibes from La Femme; Cork's Elastic Sleep play the HWCH13 Festival in Dublin this week (so does Cat Dowling actually); The Unusual History of Ether, keeping a place for jazz in pop music, like that a lot. And another Hidden Shoal gem, the new single from (The) Caseworker. More as always on these pages.